Does your vehicle appear on the list? Are you worried about the safety of your precious vehicle? Well, you have come to the right place. Here at Tracking My Car, we specialise in vehicle tracking & security. The list of Stolen Vehicles consists of the latest figures from Tracker UK, one of the leading tracker brands. There seems to be a trend in German vehicles being targeted. With 7 out of the top 10 vehicles being a German branded vehicle, does this indicate that the security on these vehicles are poor or are they being constantly targeted? The remaining 3 vehicles in the list are all Land Rover based vehicles. With the Range Rover Sport appearing in 3rd position, the Land Rover Discovery and Range Rover Autobiography are not far behind it in 6th & 7th place. Due to the luxury and high end of these vehicles, this could play a big part in why these sort of vehicles are being targeted. 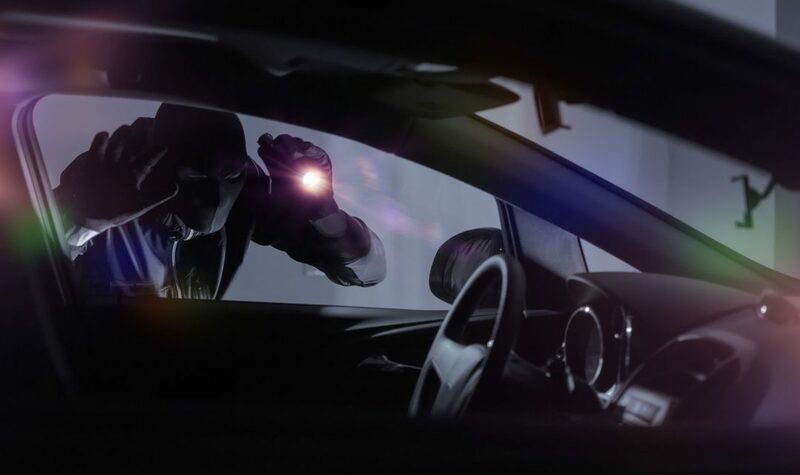 With the introduction of keyless cars, there is a lot of debate that this is a key factor in why the number of thefts has increased dramatically in the past few years. With the remotes all being controlled by a signal now instead of direct contact with the key, it makes it a lot easier for thieves to block/mimic the signal to make the car think they have the keys. By waving a fob near your house and reading the signal from your car key, whilst another thief is with a different fob next to your car ready for when the two fobs connect with the signal allowing them to open your doors and start the engine as many times as they want. They have now cloned your keys and have full access to your vehicle whenever they want. If you choose to let Tracking My Car help improve your vehicles security, you will not only receive an outstanding service but you will also get the best advice for what security your vehicle needs. We offer the whole range of Stolen Vehicles trackers from Category 6/7, category 5 and now also Category S7 & category S5. We offer only the best brands in the Stolen Vehicles tracker industry. With the likes of Tracker UK, Vodafone Automotive, Smartrack & Trafficmaster. 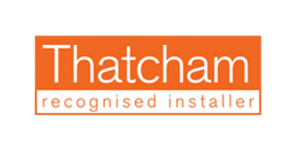 All the trackers that we sell are Thatcham Accredited and are only installed by our team of accredited installers. Our best selling Category 6 tracking system is the Tracker Locate. 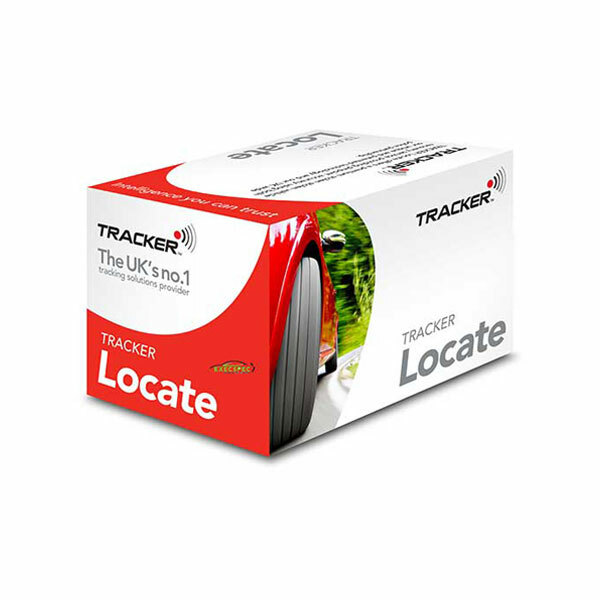 The Tracker Locate is a Tracker UK product. What makes this device such a popular unit, is the additional VHF technology that it provides. With all Thatcham approved tracking systems, you have both GPS & GSM signals, these come as standard so you can locate the Stolen Vehicles to as close to a pinpoint location as possible. But with the Tracker UK devices, they are the only brand to have the addition of VHF technology on their trackers. This technology is designed for, if a thief puts your vehicle in a metal container or an underground car park, the VHF can still give out a signal to allow the police force to be able to find it, wherein these sort of places the GPS and GSM signals will not be able to penetrate through to give off their signal. This makes the Tracker Locate the most popular Category 6 Tracking Device. The device is also widely approved by major car manufacturers from the likes of Mercedes-Benz, Maserati, Lexus and many more. Our best selling Category 5 tracking system is the Vodafone Protect & Connect 5. This is a Vodafone Automotive product. With the personal ADR tags, it makes the Category 5 trackers the more secure category out of them all. What the ADR tag does is that the tag communicates with the tracking device and tells the tracker that you are the authorised driver of the vehicle. The tracker will then be able to rest until it is armed again. What the idea of the ADR tags is for, is that is a thief does steal your vehicle, with the keys or without, they will not have your ADR tag as the thief will not know to look for it. They will steal the vehicle and be off in a few seconds, in the maximum of 2 minutes time, the account owner (driver of the vehicle) will get a phone call from the control centre stating if they are driving the vehicle or not. This is because the tracker has not identified the ADR tag, hence not seeing the authorised driver. It will then be in contact with the control centre, telling them that it has not identified the driver. This is a 24-hour service, so your vehicle is always being monitored. The device also has the option to immobilise the vehicle once it is at a standstill, this will prevent the engine from being restarted. The Vodafone Protect & Connect 5 is also approved by the likes of Audi, VW, Bentley, Porsche, Lamborghini, Bugatti & Nissan plus many more. Our Best selling Category S7 tracking system is the Tracker Vantage S7. 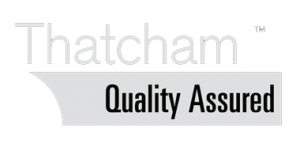 The Thatcham Category S7 is set to replace the existing Category 7 & Category 6 at the start of 2019. Category S7 are the perfect tick in the box tracking systems. Due to insurance companies demanding a tracker being fitted in some vehicles, the Tracker Vantage S7 is our cheapest but still reliable tracking system. With the benefits of a battery back-up system & also an illegal movement sensor, you will always know that big brother is watching over your vehicle. Our best selling Category S5 tracking system is the Vodafone Protect & Connect S5 VTS. The Thatcham Category S5 is set to replace the Category 5 trackers towards the start of 2019. The category S5 trackers are almost exactly the same as the category 5 trackers. The only difference being that the category S5 rackers do not have immobilisation. As said about the category 5 trackers, the category 5 trackers have the option that if your vehicle is stolen, and the thief comes to a standstill with the vehicle and the engine is turned off, then they can apply immobilisation to prevent the engine from being restarted. But with the category S5, there is no immobilisation cut applied when installing the tracker. There are additional features coming soon for the Vodafone Protect & Connect S5 VTS that may give you additional security options. The first option is the Autowatch Ghost. The Autowatch Ghost immobiliser uses the discrete sequence of pin codes through existing buttons already in your vehicle. This makes the Autowatch Ghost undetectable to anyone who gets into your vehicle. *Autowatch Shadow is fitted from £299.00. Please contact sales for further information on your vehicle. Stealth Active is a stealth security system that runs in the background not interfering with your existing vehicle electronics. If a car thief decides to steal/clone your car keys they are then presented with an unauthorised mode which prevents them in starting the vehicle. Complete stealth mode to anyone who gets into your vehicle the Stealth Active security system can be disarmed without even your occupants knowing what security your vehicle really has. Should your car keys by stolen or cloned the Stealth Active security system leaves that element of surprise with the vehicle being completely immobilised. Operating in stealth mode the Stealth Active security system is not affected or bypassed with key cloning equipment or Obd diagnostic making this product unique & 100% safe. The Tracker Locate is a unique VHF/GPS/GSM insurance approved Category 6 tracking system. The VHF (Very High Frequency) technology has been designed to prevent jamming of the tracking system. With the Tracker 24/7 secure control centre, this gives you the peace of mind that big brother is watching over your car. 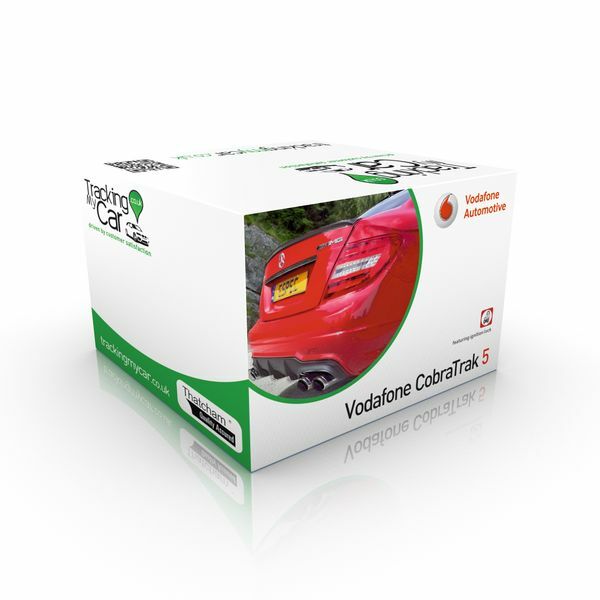 Vodafone Cobra Protect Connect 5 is Vodafone’s top of the range Stolen Vehicles Tracker, incorporating all the benefits of the standard Vodafone Cobra Protect connect 6 system with the added protection of many additional extras.